Kelly Ripa host of the Regis and Kelly show recently dressed up as Rachel Zoe for a comedy sketch. Kelly was wearing the large cocktail ring from Nicole Richie's collection House of Harlow 1960. The ring looks great on Kelly & i have to say she does look almost identical to Rachel Zoe herself. 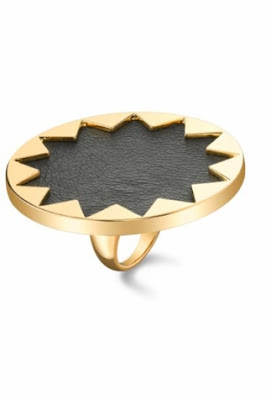 Buy the House of Harlow 1960 Gold Starburst Cocktail Ring here. I have this piece so loves it!! !